Find the perfect hotel for your stay in Piazza Navona - from discount and affordable Piazza Navona hotels for the budget traveler to luxury four star and five star Piazza Navona accomodations. You can also search for hotels in Piazza Navona that cater to your specific needs, such as extended stay hotels, hotels for business traveler / event planning, suite / boutique hotels and much more. 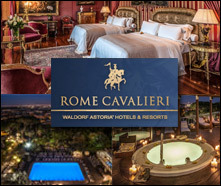 In the very heart of Rome, just nearby the vibrant Piazza Navona, is a world-wide celebrated Hotel, well-known for its astonishing ivied facade and its sumptuous charm combined with a modern architectural interior style. Its central location and its welcoming atmosphere let you enjoy the picturesque labyrinth of narrow twisting streets of the historic city centre, embroidered with antique shops while the artistic centre and the most famous and fashionable shopping streets are just round the corner.